The game will test players' logical reasoning, data analysis, pattern finding and problem solving skills through a series of challenges. TERC, a not-for-profit in the world of K-12 math and science education, has announced the development of Zoombinis for iPad and Android tablets. The game is being developed in partnership with developers at FableVision Studios and Learning Games Network, and is a revival of the classic educational game from 1990s. In Zoombinis, players will create and lead friendly blue creatures called Zoombinis through challenges on their way to the promised land of Zoombiniville. 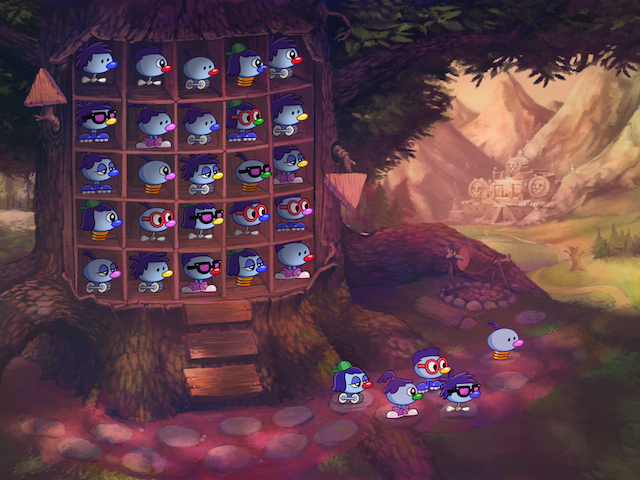 Players work with Zoombinis in groups of 16, with each critter having a selection of varying characteristics in terms of hairstyle, eye shape, nose color and more. The game offers 12 challenges, each with unique logic puzzles, and each logic puzzle comes in four levels of increasing difficulty. For instance, in the Pizza Pass area, gamers must cook pizzas for trolls based on clues. If players serve the trolls the wrong pizza, they’re given a clue relating to the proper kind or amount of toppings, and can try again. If players continue to make mistakes, some Zoombinis can be tossed back to Zoombini Isle, but players can go back for them later. This collaboration is a dream team experience. We’re thrilled to take a classic, beloved game from so many people’s memory and refresh it for modern platforms. Zoombinis has a timeless educational backbone that’s reinforced by story and fun, and we can’t wait for a new generation to experience it. Zoombinis is expected to launch this summer on iPad and Android tablets for $4.99.